I seemed to be rolling out many firsts to my start of the year 2015. 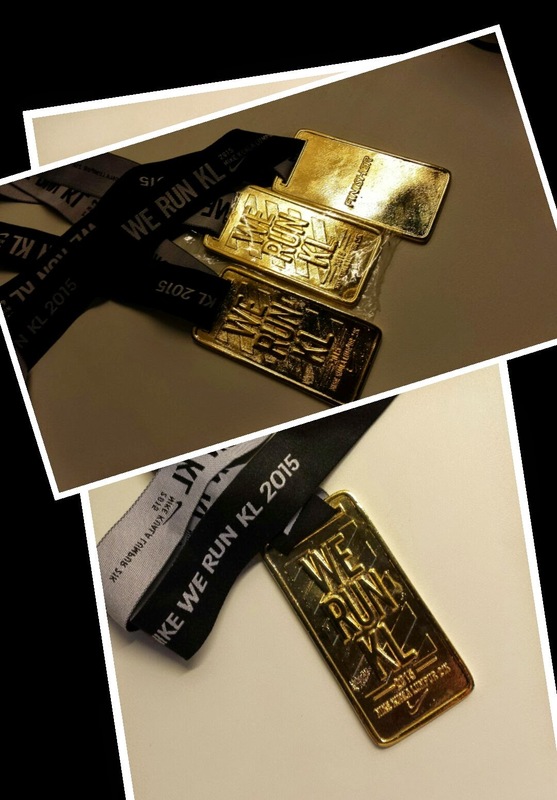 Coinciding with our Kuala Lumpur City Day on Sunday, Nike's We Run Race Series reached our shores. On its 6th anniversary, this global running series started off in August 2014 in Prague aimed to attract more than 200,000 runners in 18 races around the world. Nike We Run KL also featured its first 21km race to challenge Malaysian runners to run faster and further. This was actually my first time running this race and my first local 21km road race. To top it off, it was also the first time our entire family ran in one race and same distance. Wow ... 3 straight firsts in a row! Despite the route being flat as compared to the hilly route of my recent Gammon China Coast Half-Marathon, I struggled. Yes, it was a struggle not only due to my knee pain but for whatever reason, I had stomach cramps that threatened to turn into diarrhoea halfway through. I was so scared that I was going to faint at the 18km mark. Thankfully, lo kong who had completed his race under 2.5 hours had ran back to accompany me to my finish. The last 3km was a real spirit-breaker. I am grateful I managed to finished the race in less than 3.5 hours ... a satisfactory allowance before the cut-off time of 4 hours. Nick who did not train at all and having played badminton the evening before managed to complete the race within the cut-off time too. Based on post-mortems on the race results ... everyone registered running at least 1km more than the race specified.